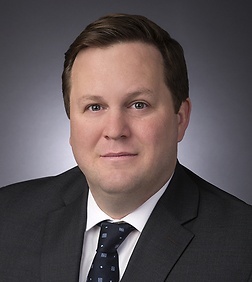 Bill Rappolt is an associate in the Real Estate, Land Use and Environmental Practice Group and a member of the Energy Industry Team in the firm's Washington, D.C. office. Bill has worked in the field of energy regulation since 2003 and has been a practicing attorney in the field since 2010. Bill’s practice includes representing participants in the natural gas, electric and oil/liquids industries before federal agencies, state utility commissions and appellate courts. Bill has represented natural gas pipelines and storage providers, electric generators, power marketing and trading companies, commercial class electric customers, electric utilities, independent electric transmission providers and oil/liquids pipelines and storage providers. Bill has aided clients with rate making issues invloving cost of service, return on equity and rate design. He has also advised and represented energy industry participants regarding tariff-related issues, natural gas pipeline certificates, Department of Energy (DOE) export and import authorizations, market-based rate authorizations, compliance with energy market rules and regulations, standards of conduct, interconnection issues, and purchases and sales of energy facilities and companies. Prior to practicing law, Bill worked as an Energy Industry Analyst in the Federal Energy Regulatory Commission’s (FERC) Office of Administrative Litigation. During his time there, he worked on numerous natural gas, oil/liquids and electric matters dealing with utilities' rate making issues, interconnection requests and complaints concerning tariff compliance. He was responsible for developing and presenting positions on regulatory issues set for hearing before Administrative Law Judges at FERC. On a pro bono basis, Bill also represents victims of domestic violence seeking Civil Protection Orders and victims of employer based discrimination in violation of Title VII of the Civil Rights Act, the Americans with Disabilities Act (ADA), District of Columbia Human Rights Act (DCHRA) and the District of Columbia Family and Medical Leave Act (DCFMLA). Represented various pipelines in NGA Section 4 and Section 5 proceedings involving rates and terms and conditions of service before FERC. Represented natural gas market participants in certificate proceedings before FERC. Represented natural gas pipelines in appellate proceedings. Advised energy market participants concerning tariff compliance and standards of conduct. Represented natural gas storage facilities and a pipeline seeking market based rate authority. Conducted due diligence associated with potential acquisitions of pipeline and storage facilities for major energy companies. Provided advice to natural gas market participants regarding FERC jurisdiction and ratemaking. Represented natural gas market participant seeking export and import authorization from the Department of Energy (DOE). Represented various electric market participants in FPA Section 205 and Section 206 proceedings involving rates and terms and conditions of service before FERC. Represented electric market participants in regulatory proceedings involving rates and terms and conditions of service before various state regulatory entities. Represented electric market participants in appellate proceedings. Provided advice concerning compliance with tariff provisions and standards of conduct. Represented energy industry participants in investigations concerning allegations of the exercise of market power and price manipulation by industry participants. Represented electric market participant seeking export and import authorization from the Department of Energy (DOE). Provided advice to Oil/Liquids market participants regarding FERC jurisdiction and ratemaking.